In Crazy Window Cleaners players are invited to join in a race of window cleaner platforms by abseiling down the face of different high buildings while collecting stars and avoiding obstacles that range from exposed electrical wire to plant pots thrown by opponents. Players can use speed boosts such as drop ladders, parachute banners and fans to get ahead, and both the speed and the stars count to secure the final medal. 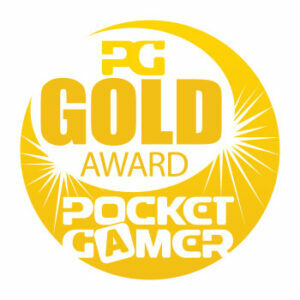 Crazy Window Cleaners, conceived and developed by the Digital Chocolate Barcelona studio under my management, won a Pocketgamer Gold Award. This is trademark Digital Chocolate pocket gaming gold. It’s an original, highly addictive, hugely rewarding and beautifully put together concept that, much like the skyscrapers featured in the game, is polished to a brilliant sheen.